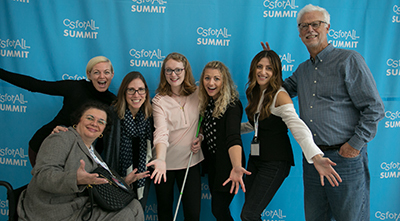 The CSforALL Consortium, an organization committed to bringing computer science (CS) education to all K-12 students, has brought a spotlight to accessibility of K-12 CS education. 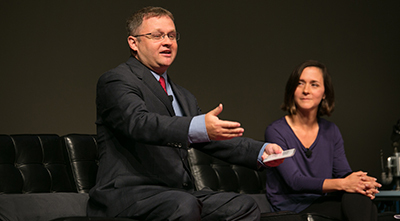 AccessCSforAll, a program led by the University of Washington and the University of Nevada, Las Vegas, partnered with the CSforALL Consortium on the CSforALL Accessibility Pledge, which will rally the national community of CS education content creators, program providers, educational institutions, researchers and investors to take immediate steps to achieve accessibility for existing efforts, and ensure that future efforts address accessibility within the design phase. Over one hundred organizations have signed the pledge this far. To learn more, read the pledge, and find resources to help make your K-12 computing curriculum more accessible, visit the CSforALL website. Photos used with permission from CSforALL. AccessCSforAll is a collaboration between the Allen School of Computer Science and Engineering, DO-IT, and the University of Nevada Las Vegas.